One photography studio in Kent dares to be different! 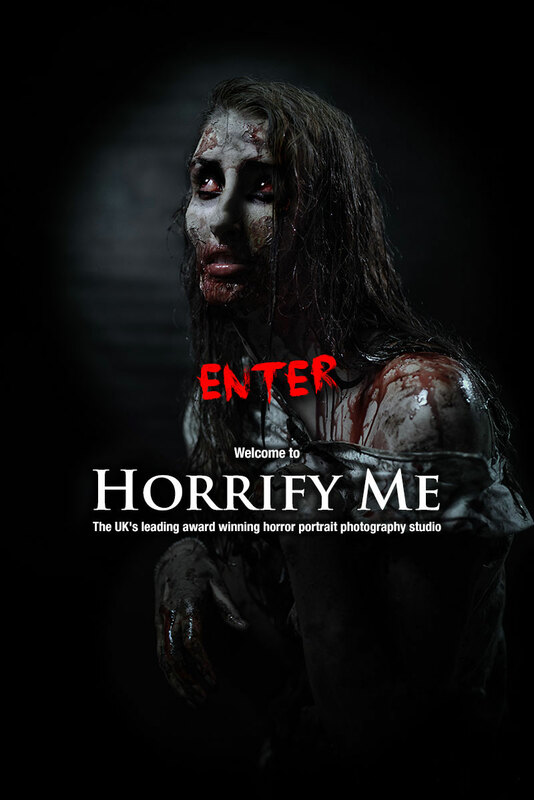 Come and have your portrait taken as a zombie, vampire, or demon. Or visit our sensational Dark Boudoir! We are masters of creative horror photography, one of the UK's leading studios for horror portraits and fantasy photography. True horror movie quality images! Award winning, globally published, available to create your most stunning portraits as well as creative photography and design for professional and trade, scare industry, film makers, actors, models, make up artists and so much more.